The AUA campus is 25 hectares in area bordering on both sides the historic Iera Odos (the Sacred Way of antiquity), close to the centre of Athens, at the heart of the ancient Olive Grove and the edge of the Ancient Site of Kerameikos. The University’s 28 building complexes comprise 42 fully-organized and equipped laboratories for teaching and research, and 55 modern auditoriums and lecture rooms. Education and training in the AUA is also carried out in the agricultural facilities of the vineyard and the arboretum, and is also facilitated by a valuable collection of plant material, the agricultural museum, the experiment installations for plants, livestock and aquatic organisms, the exemplary dairy installations and winery, the greenhouses, the farm machinery, the apiculture and beekeeping unit, the compost unit, and the Library & Information Centre. The restaurant, café, library, indoor gym and sports & recreation fields create an atmosphere of creative interaction for all the members of the academic community on the campus. 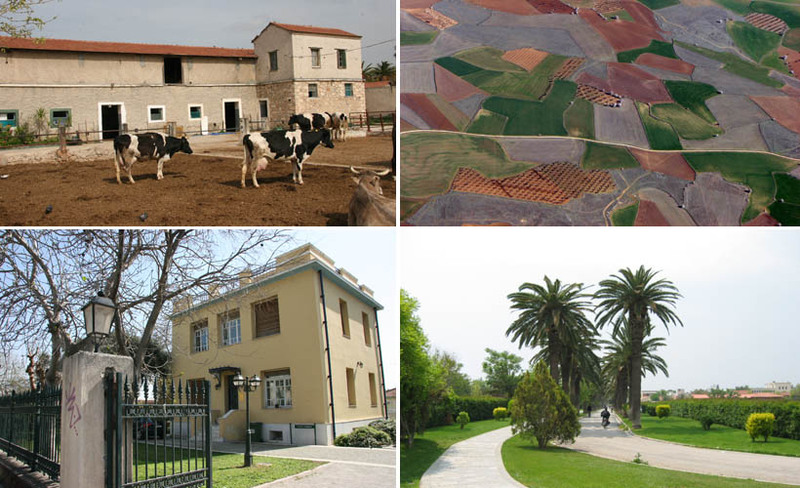 The AUA farms are situated in the city of Aliartos in Boeotia (an area of 100ha), Oropos (2.7 ha) and Yalou, municipality of Loutsa – Artemida (35 ha). All the AUA farms are used for instruction and research, which are vital for the development of agricultural science and primary agricultural production. In addition, sections of the above farms are cultivated for production.